FINALLY, it seems that the 15th National Assembly is ready to move forward. PTI has finally agreed to the election of Leader of the Opposition Shahbaz Sharif as chairman the Public Accounts Committee (PAC), breaking the deadlock and clearing the decks for the formation of other committees. What should be the roadmap for the new NA now? Since the ruling coalition has a thin majority in the NA and lacks even a simple majority in the Senate, the legislation will be a challenge for the government. 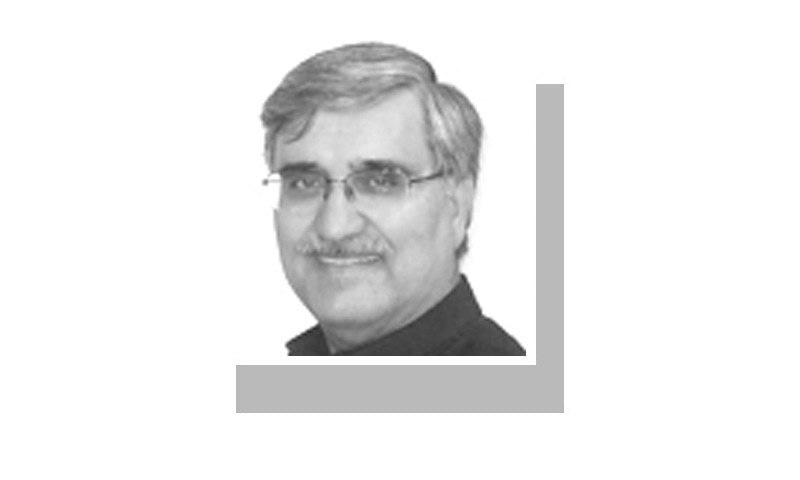 If the PTI wants to make headway on its promised and heavily-publicised reforms agenda, it will need to pass a number of laws during its first parliamentary year. Many recommendations resulting from the numerous taskforces formed during the first hundred days will also need to be converted into legislation. All this will require order in the two houses and at least a working relationship with the opposition on the part of the government. The PTI leadership will, therefore, be required to set an example of restraint and to ask its hawks to desist from provoking the opposition. An aggressive posture may serve some purpose while in opposition, but will be counterproductive in government. As the case of the PAC chairman’s election has demonstrated, making compromises is a legitimate part of the democratic process, and should neither be condemned nor taken as a sign of weakness. Besides establishing a working relationship in the parliament, the PTI and other parties should organise and activate their respective parliamentary parties. Regular engagement of leadership with their respective parliamentary party — including at least weekly meetings during the session — will lead the way for developing consensus around the legislative agenda and undertaking inclusive legislation. Political leadership should realise that the past practice of top party leadership dictating the party line, without any meaningful consultation with party legislators — and legislators complying without question — may no longer be sustainable. Furthermore, low attendance of members in the NA sittings had been a perennial problem — to the extent that even maintaining quorum in the house, which is just 25pc of the total membership, has become a challenge. This repeated demonstration by the honourable parliamentarians of their lack of interest seriously compromises the prestige of the house. During the past terms of the Nawaz Sharif-led governments, attendance of ministers and ordinary members had been a major issue because the then prime minister seldom attended parliamentary sessions. Although Imran Khan was then in the opposition, his attendance had been even less than the former prime minister’s. If parliamentary proceedings are to be made meaningful and members encouraged to attend sittings regularly, the party leadership will have to lead by example. Prime Minister Imran Khan should now make a new beginning and start regularly attending parliamentary sittings. He should make use of his chambers in Parliament House during the sessions instead of the Prime Minister’s Office. This will prompt ministers and other legislators to be regular in the house. If this were to happen, the whole culture of the parliament would transform — and everyone would then take parliament and its proceedings seriously. Prime Minister Imran Khan took the commendable step of committing in his first televised address to personally answer questions regularly in parliament. He had initially promised a weekly but later fortnightly Prime Minister’s Question Hour. But, despite more than four months having passed since the new NA was formed, the prime minister has not appeared even once in parliament to answer questions. Neither have the parliamentary rules of procedure been amended for this purpose; nonetheless, the prime minister can take the initiative without waiting for amendment in the rules. Another critical area requiring attention is the staffing at the secretariats of the NA and Senate. The performance of parliament depends, to a great extent, on the quality of support available from its staff. In the past, a lot of attention has been devoted to the capacity-building of parliamentarians, but not to the staff. The current staff positions in the two secretariats should be upgraded with better perks. The requirement of minimum qualifications should also be scaled up. The British parliament secretariat, for example, is staffed with quite a few graduates from Oxford, Cambridge and similar top universities. Unfortunately, our parliamentary secretariats do not attract high-grade graduates from universities like Lums. The present NA speaker had made significant efforts for the capacity-building of members of the Khyber Pakhtunkhwa Assembly when he was its speaker. One may hope that he pays similar attention now to the NA’s staff. One of the most important functions of the NA is to pass the federal budget every year. Sadly, the parliamentary budget process is almost superficial as it does not provide adequate time to parliamentarians to study and scrutinise the budgetary documents, which run into thousands of pages. And, unlike in India, where budget process continues for 75 days and the ministries’ budgets are scrutinised by the respective parliamentary committees, in Pakistan, the various stages of the NA budget debate run for a mere 12 days on average, and the finance bill is not referred to the committees. In addition, as per the current law, the government can spend more than the approved budget without prior approval by the NA, which compromises the essence of parliamentary approval. Therefore, if there is one reform that the assembly must undertake, it should be to reform the parliamentary budget process. The quality of parliamentary debates can improve tremendously by shifting the focus to public policy debates. Policies on foreign relations, security, water, energy, economy and other public issues should be debated in a structured manner at least once a year. It is the beginning of the term of the new assembly, and it is the right time for the NA leadership to steer the initiative for a comprehensive five-year plan to include the above, and other, reforms. Good analysis however a mention to re-visit Needs Assessment of Public Accounts Commitee Report drafted in Aug'2009 by experts of Auditor General Office of South Africa and Pakistan under auspices of USAID for effective parliamentary scrutiny and legislave strengthening would have been in order. Waiting for Presidential form of government?? ?At the moment shouting ministres disappointing the public. a compromise was necessary to save the democracy and handover the PAC chairmanship to SS who is facing criminal cases, thats super great.. If PAC has to be succesful, it will have to remove Shabaz. Example in revenge politics and eliminating competition by NAB and grab.